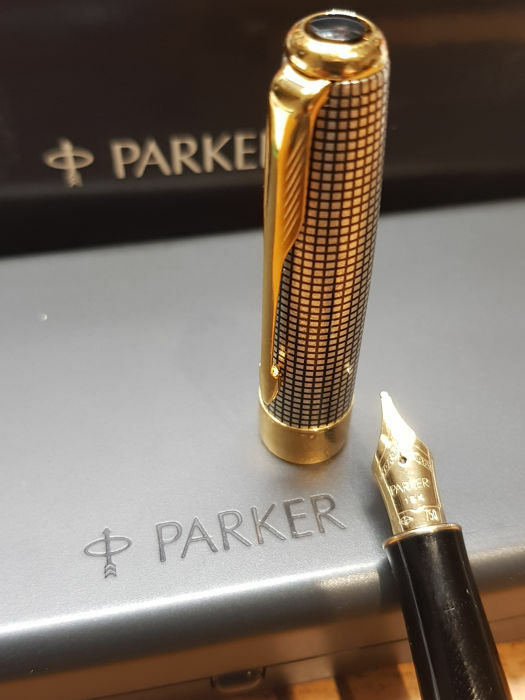 This fountain pen by Parker from the well-known Sonnet series is finished in black lacquer on bullion with a 23 k gold-plated finish. 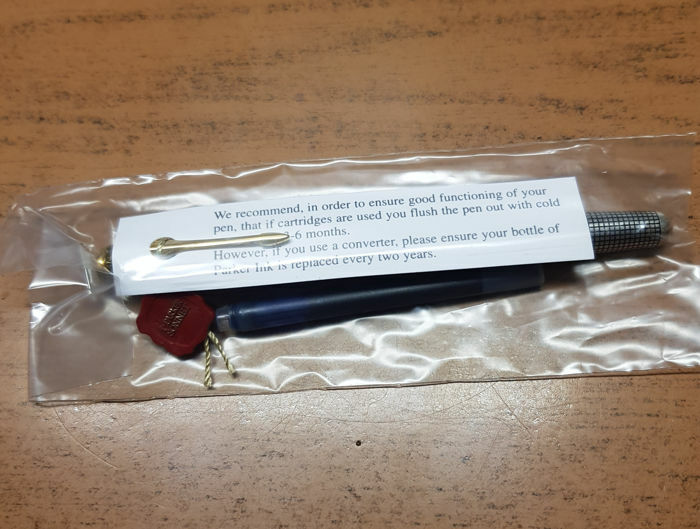 The fountain pen has a 18 carat gold nib. 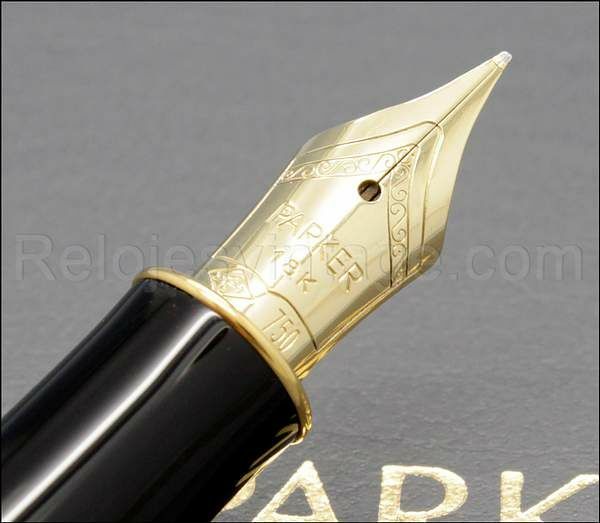 The fountain pen is engraved in a fine cross pattern, of which the grooves are filled with black lacquer. 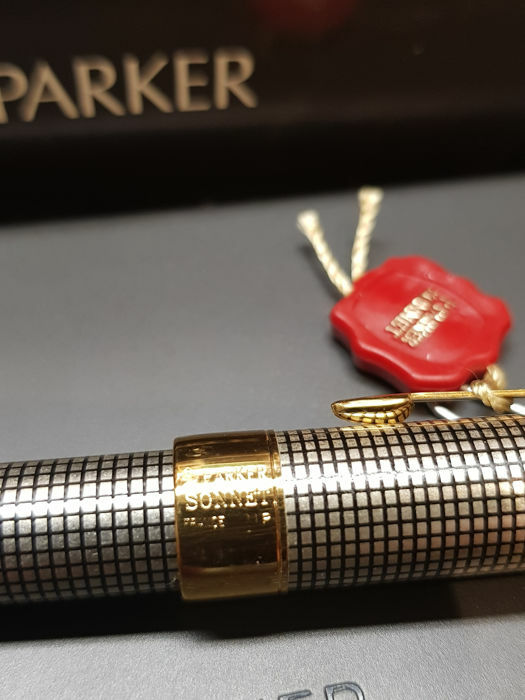 This Parker Sonnet fountain pen has an excellent grip, writes fantastic and looks also great. 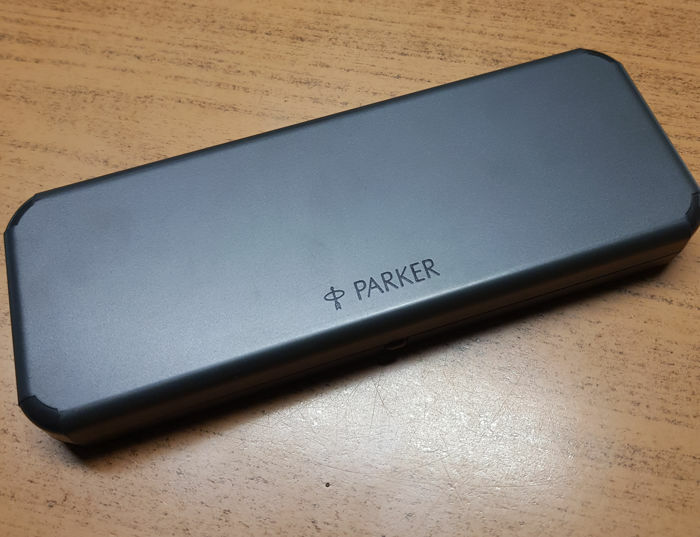 The fountain pen is packaged in a beautiful original Parker gifts box. 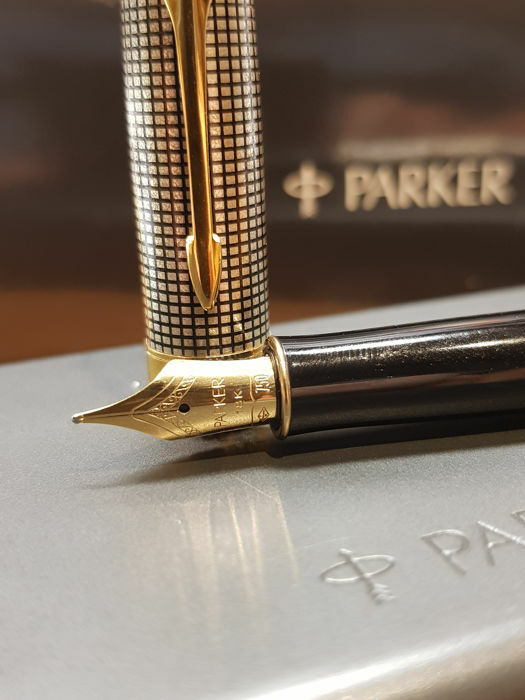 This fountain pen by Parker from the well-known Sonnet series is finished in black lacquer on bullion with a 23 k gold-plated finish. 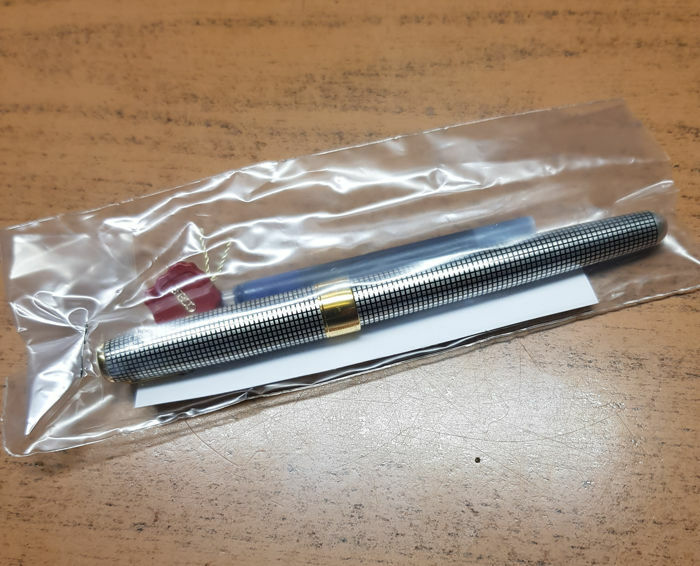 Has a 23-karat gold plated finish. 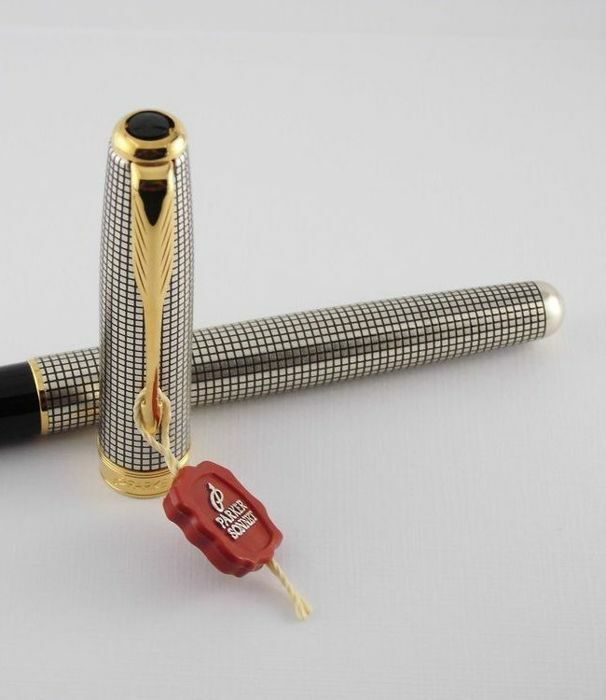 The fountain pen has a 18 carat gold nib. 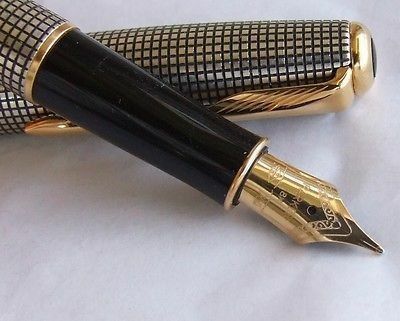 The fountain pen is engraved in a fine cross pattern, of which the grooves are filled with black lacquer. 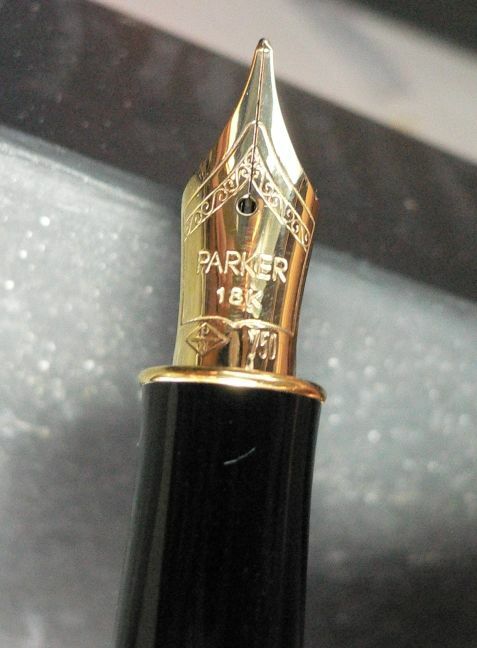 This Parker Sonnet fountain pen has an excellent grip, writes fantastic and looks also great. 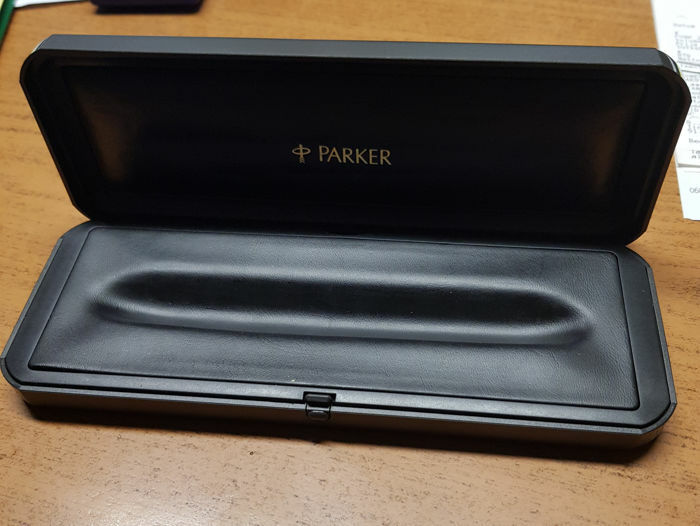 The fountain pen is packaged in a beautiful original Parker gifts box. 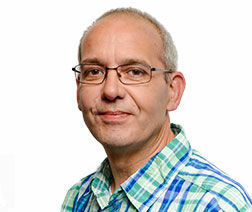 Du kan hämta det här objektet hos säljaren: Exloo (), Nederländerna.